Babywearing has been the only mean to carry one’s child for millennium…until the invention of a pram or buggy. Research has found that baby in slings cry less, learn more, have better motoring skill earlier and have better bonding with mother AND father. To be honest, we just find it extremely handy to navigate the city. You can see from the above pictures – grocery shopping, going for walks, taking public transport, going on holiday, even vinyl shopping! I was born in Hong Kong where babywearing was the norm growing up, I did back carry since I was a little girl! 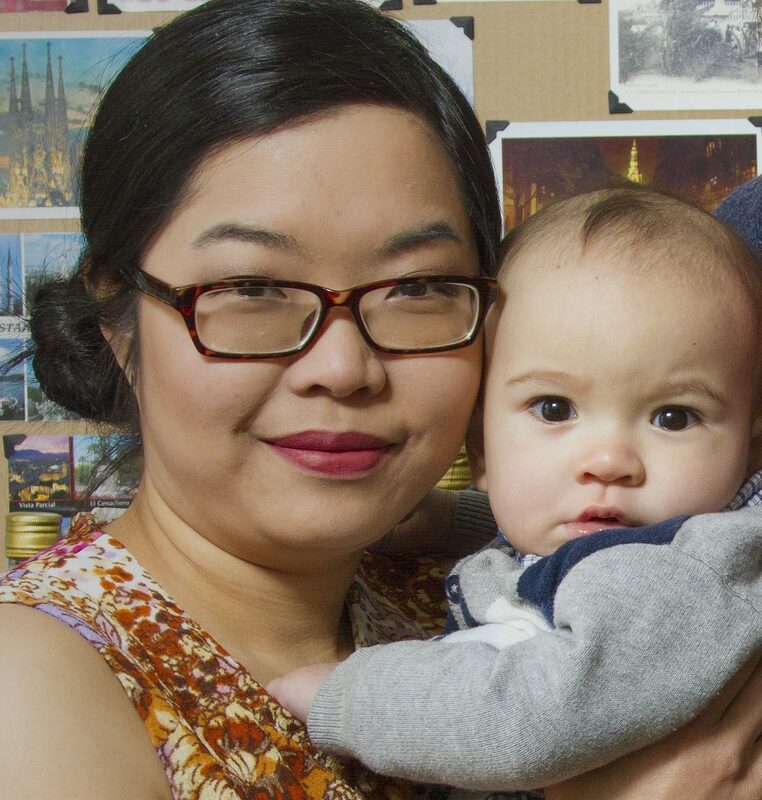 When I became a mother, wearing my baby is a natural option for me. Then I realise that’s not the norm in the western world! I am a trained Trageschule UK Babywearing Consultant. I finished my Advanced level on 2016 and will get my Certification level this spring on 2017. I am passionate to help normalize babywearing to the western world. Well, it depends on what you want and I will meet you where you are! You are a beginner: you know nothing about babywearing and but you want to start. the pros and cons of each kind of sling and help you to decide which sling is suitable to your body shape, lifestyle and budget. We will make sure you (and your partner, if you wish) will be confident with the use of at least one sling to do one carry before the end of the consult. A weighted demo ‘baby’ will be used to practise. or the baby is getting ‘fussier’ (usually starts at 3-4 months when they start to be more alert!) you want to try a different sling. I will come in with a few style of slings that you particularly want to try. A weighted demo ‘baby’ will be used to practise. You can then decide what kind of sling you want to upgrade to. Or if you already got a sling, I can show you how to use it or do back carry. We will make sure you (and your partner, if you wish) will be confident with the use of at least one sling to do one carry before the end of the consult. I will come in to check your sling and see what the problem is and solve a specific problem. I also recommend you to check out peer support in your locate area. Sometimes a little adjustment is all you need. Check out Babywearing Ireland sling meet in your area. I will come in with a few style of slings that you particularly want to try. A weighted demo ‘baby’ will be used to practise. 2 hour of class for a specific subject of your choice, e.g. introduction to babywearing, front carry of a particular sling, back carry, etc. Feel free to come up with a subject and we will work something out. 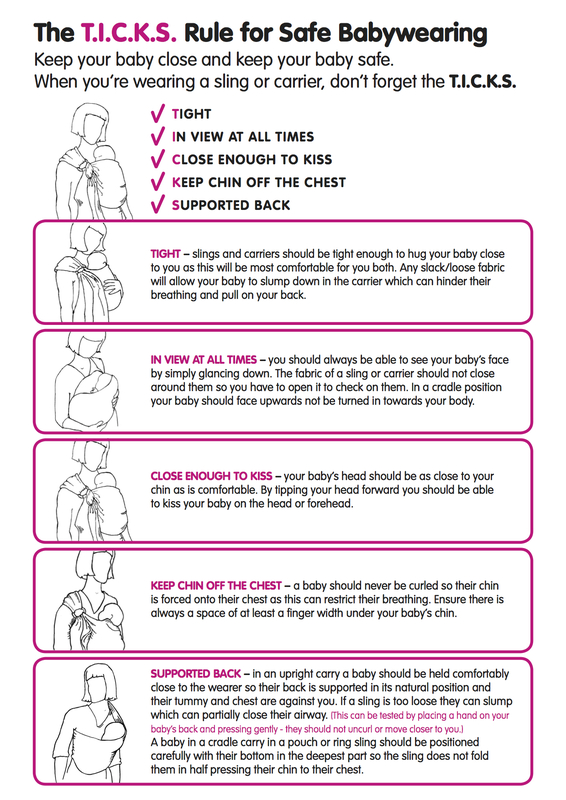 If you belong to any group that are interested to know more about babywearing, e.g. mom and baby group, church group, school, creche, public library, etc. Please be in touch.